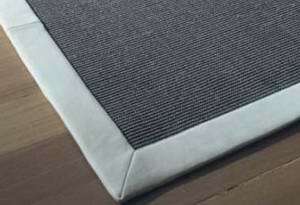 Rug Edging and Binding styles by Natural Floorcoverings of Sydney. 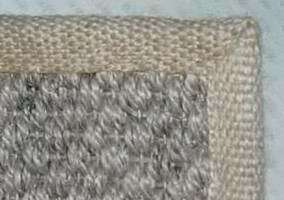 Rug Edging and Binding styles. Our custom made floor rugs offer a traditional and contemporary expressions of good living, used by the modern designer and architect as elements to enhance and beautify any area or home. Using a range of natural woven fibers & borders or your own fabrics, that will help you create the ideal floor rug to suit your environment. 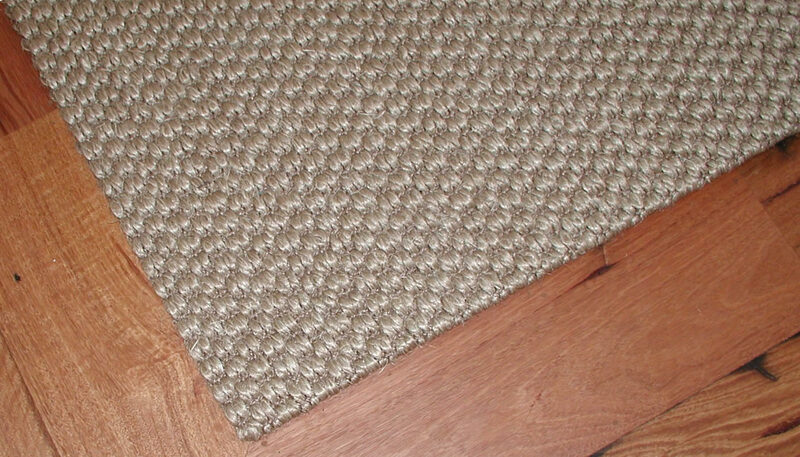 Nearly any shape or size, from round (25% extra) to square, hall and stair runners, or to fit the perimeter of the room. We aim to offer you the ultimate in service, style and craftsmanship, using your individually by choice of colour and texture. 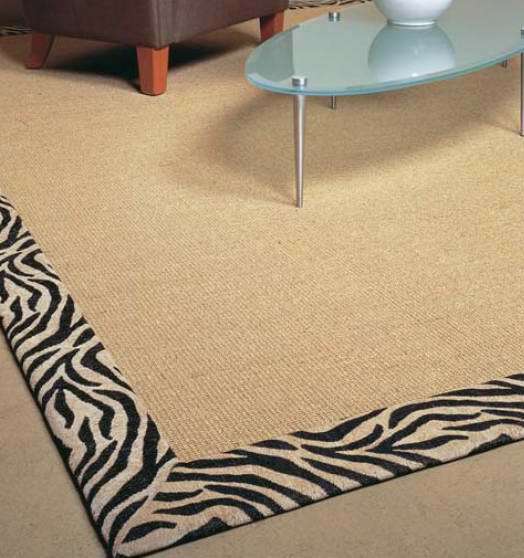 See our instant Rug cost Estimator to get a better idea of the cost. 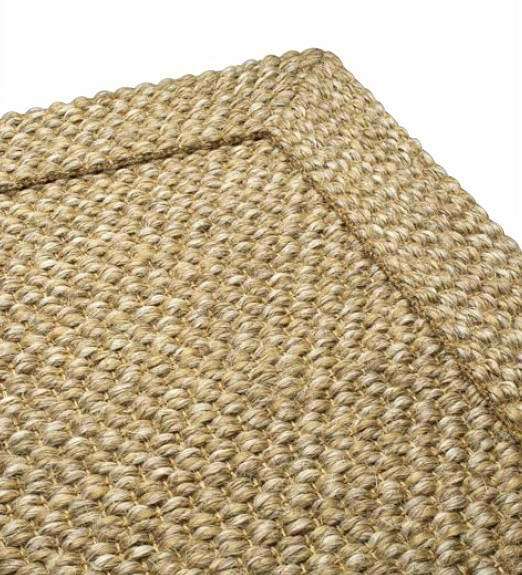 See our Glued & Turned, JUTE, COTTON Edgings. We have a large range of plain coloured bindings to choose from, additional bindings methods are shown below. This simple DIY method can easily be done by the customer, all that is needed is PVA glue & an old toothbrush to massage the glue into the sisal or seagrass as it Dry's, this will reduce/stop Fraying. It is advised to initially apply a 3~5mm bead of glue to the top outer edges & gently rubbing the glue into the fibres as it dry's, once dry it is a lot safer to cut & shape to any desired shape, if you have PVA the shape/edge. NB: As it is drying try not to leave mini pools of white PVA glue, as these will dry with a shiny hues, this is the simplest method to stop the edges fraying. 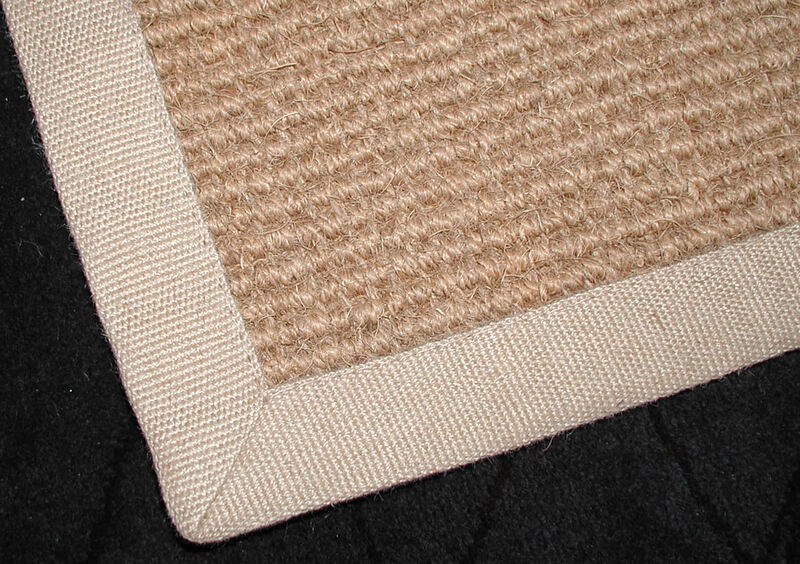 20mm wide Natural Jute binding, with stitched with folded mitred corners. With this method, we first double seal the cut edges with PVA glue to reduce the likely hood of fraying, before the webbing is Sewn-on. 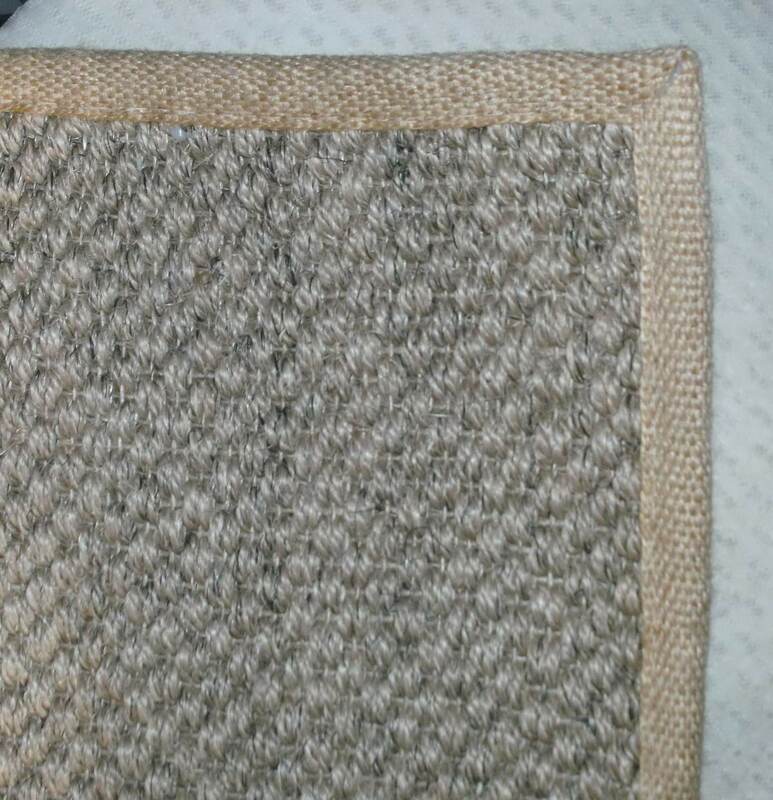 This is our most simple way of making a rug without an edging, where we turn and glue back the edges like a hem, using a special heat proof adhesive, we then glue (recommended) or customer can simply loose-lay an underlay to the underside of the rug, using an underlay gives a flat finish and a softer feel under foot feel. 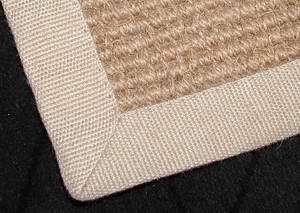 Depending on the product this method of edging can result in the rug having slightly rounded corners or we can make them rounder if required. The Turned & Glued Edging Manufacturing instructions! 50mm wide binding on top, with stitched with folded mitred corners. 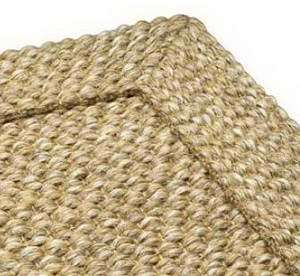 We also have a range of more expensive Cotton borders to suit your decor. 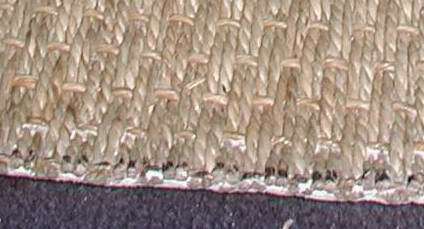 Showing a 70mm wide binding, blind stitched (a technique used to conceal the stitching) with padding and tailored mitred corners. You can also choose from narrow or wider finish binding widths, twin or triple coloured edgings to obtain a specific look. 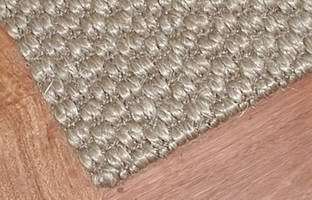 We have a range of European tapestry and fabric bindings to choose from, however we can also apply your own fabrics to our carpets. All tapestry and fabric bindings are applied using our Deluxe binding method only, normally showing around a 120mm wide binding, however this may vary due to the style of the particular fabric required. We have a range of leather bindings to choose from. Again all leather bindings are applied using our Deluxe binding method only. 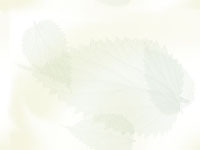 Showing a 70mm wide binding but you can choose the width of the binding, anywhere between 30mm up to 120mm wide finish. 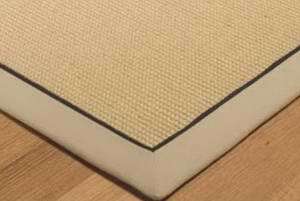 This is one of our premium style of binding, where we use the same product as the floor rug for the border, normally showing a 120mm wide finish, but again you can choose the width of binding from 70mm upwards. 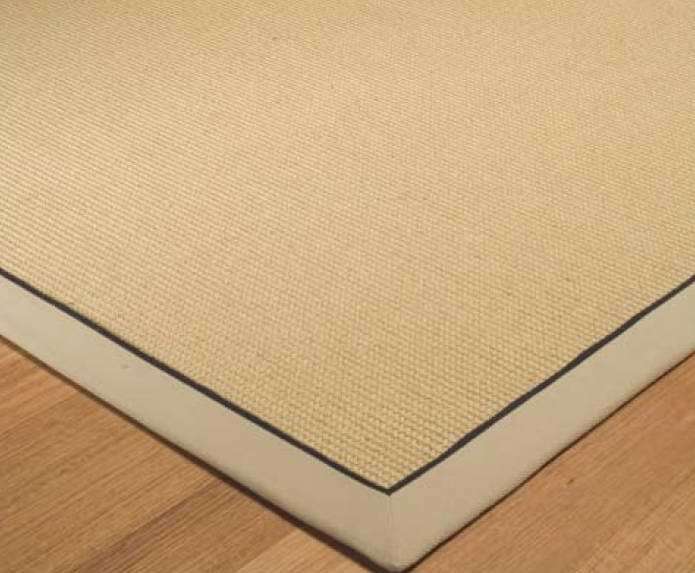 Self edging is very elegant and timeless finish, you do not need to use an Underlay if you like or don't mind the outer raised border, inlaying underlay 2cm back from the inner edge will create a uniform thickness. 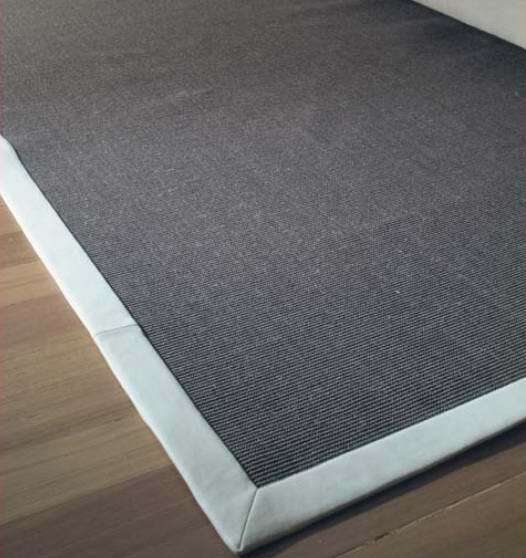 UNDERLAY can be Glued or Supplied with all of our floor rugs, thus giving better sound absorption and a softer feel under foot, either adhered to the backing of the rug or simply loose laid beneath the rug. 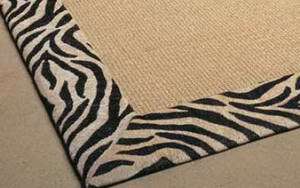 See this instant Rug cost Estimator to get a better idea of the cost. 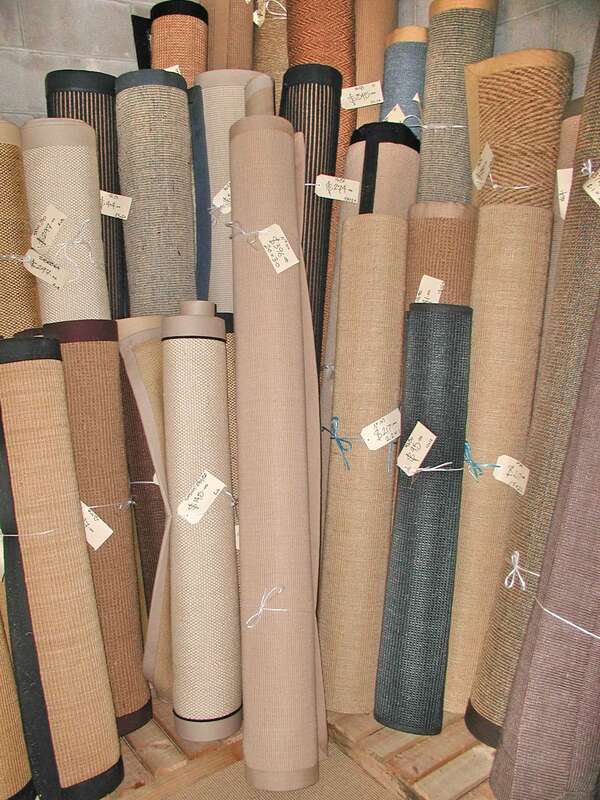 Here are several types of underlay's we recommended.